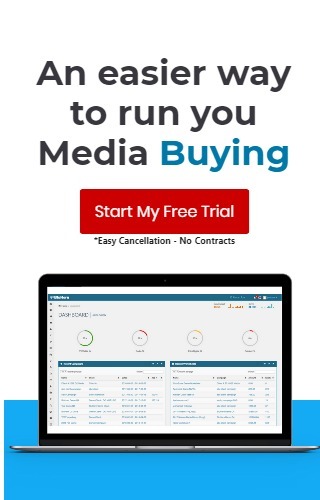 100% Web-Based Media Buying and Planning Software. Your latest media data is always available for you anywhere that you have internet connection. 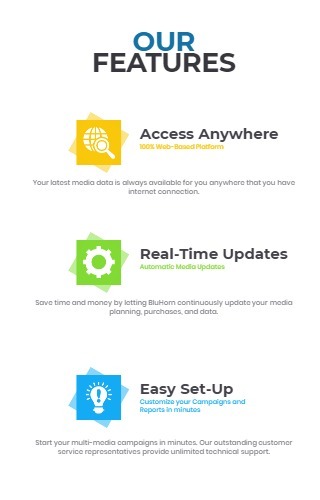 Save time and money by letting BluHorn continuously update your media planning, purchases, and data. Start your multi-media campaigns in minutes. Our outstanding customer service representatives provide unlimited technical support. Credit Card not charged until 14 day trial period ends. Cancel anytime. 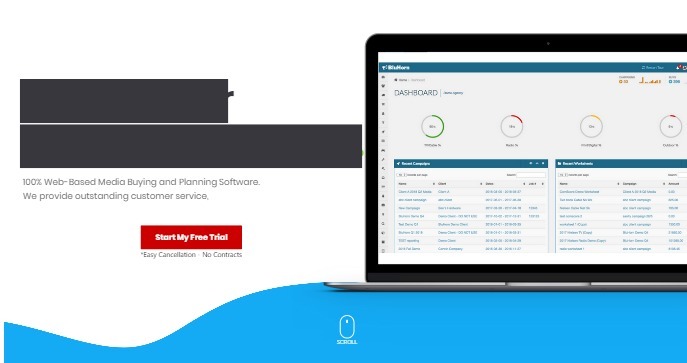 BluHorn® media buying and planning software has been in the market for nearly 8 years. Our philosophy has always been to provide a buyer or planner with the most efficient and user-friendly experience possible. We treat our customers like family, and only want the best for our family members. We understand that there are choices in the market for media buying solutions, and that the software must meet the buyer’s needs in order to be a profitable fit. Because we want the optimal experience for our customers, we offer users some unique advantages in the buying software market. We are a 100% web-based media buying solution, meaning that there is no software to download and no server space needed. Your buying platform, orders and reports go with you anywhere that you have an internet connection, including on tablet and mobile devices. Accessibility to your media data from any location means that buyers can work from anywhere, and can present and access information regardless of if they are in front of their office computer, or sitting at a conference table with a client. This makes telecommuting a viable option for companies throughout the United States and the world. Freelance buyers get the opportunity to choose where they operate, which can open up possibilities for a variety of buying jobs. Our software is accessible to users and agencies of all sizes. Our price point is significantly lower than that of our competition because we have streamlined the needs of buyers and do not require users to pay for features that are not necessary for their processes. Our pricing structure offers various levels of subscription options, from basic to ultra. We understand that not every buyer is the same. Access to Nielsen or comScore ratings services is not a requirement for all users and is added at our mid levels and beyond. This makes it simple for users to choose what they need and access it at a price that makes sense for their business. We offer outstanding customer service. Our support ticketing system allows users to submit requests for help right there within the platform, and warrants the fastest possible response from our team. We also offer live screen-share training, weekly webinars on FAQ topics, and live chat on our main website. Our testimonials and posted reviews show that our users appreciate the steps our team goes through to ensure that customers are satisfied. BluHorn offers worksheets for each different media type in the quickly-expanding media market. Our users buy media from a variety of sources and platforms, and BluHorn makes entering and managing each type of buy easier with customized sheets. Our worksheets offer media-specific selections as well as customizable fields and open comment sections to ensure that all information that buyers want to convey to their representatives is allowed. Getting started with BluHorn is easy and risk free! We offer a 14 day free trial period to all new users. Simply enter your information at registration and you have immediate access to the system. You have two weeks to test the software to see if it is a fit for you and your business. During that time you can schedule training sessions, view videos, and utilize all functions and support the same way as a paying subscriber. 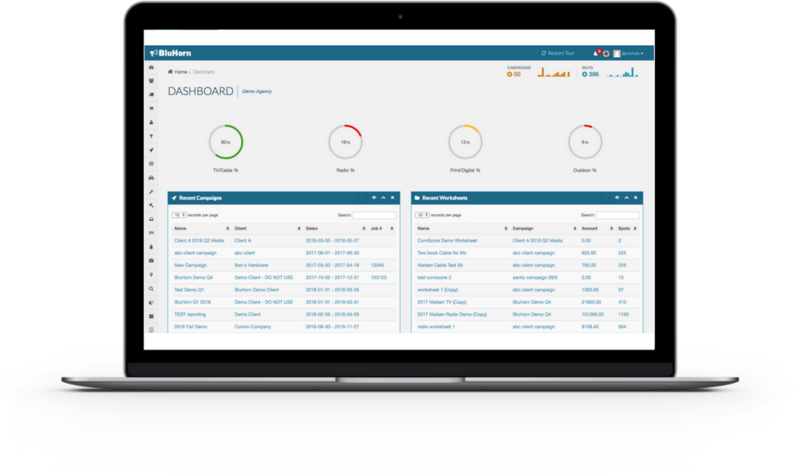 If you are a ratings subscriber with Nielsen or comScore, we can offer trialing of ratings integration as well, which ensures that you get a real feel for how the software will work for you. And, unlike our competition, there are no contracts to sign for subscription. We want you to be satisfied with the solution that BluHorn offers to you. We offer monthly or annual packages and are happy to discuss these with you. If you are interested in getting started with us – simply click on Register Now to start your 14 day trial. Or email us at [email protected] for further information.